In February of 1988, the Library Columns, the publication of the Columbia University Libraries, had a note about a donation from Mr. and Mrs. Schaefler. The donation described, among other items, "…fourteenth-century documents pertaining to commercial transactions of the Jewish community at Apt in Provence, France." Six of these manuscripts have been digitized, and are now part of the Digital Scriptorium, a database of medieval and renaissance manuscripts from around the world. This group of manuscripts was cataloged as Western MS 41A-F.
A month ago, thanks to the Alexander Foundation, the library was able to acquire six more "notarial documents relating to fourteenth century Jews of Apt, in Provence, France." These documents have been added to the original group. The new documents describe loans owed to specific Jews between 1382 and 1445. These are important records for the economic interactions between Jews and Christians in Provence during this period. This entry was posted in Uncategorized and tagged France, Jewish-Christian relations, manuscripts, medieval, moneylending, New Aquisitions, Primary Sources on November 1, 2011 by Michelle. In 1947, a Bedouin shepherd exploring a cave in the Judean desert came across a fantastic treasure trove of Hebrew documents from the third to the first centuries BCE. The Dead Sea Scrolls, as we now know them, are now the oldest known Biblical manuscripts in existence. While they can be viewed today at the Shrine of the Book in Jerusalem, or through various facsimile publications, they had never been accessible to the entire internet-connected world. Until today. 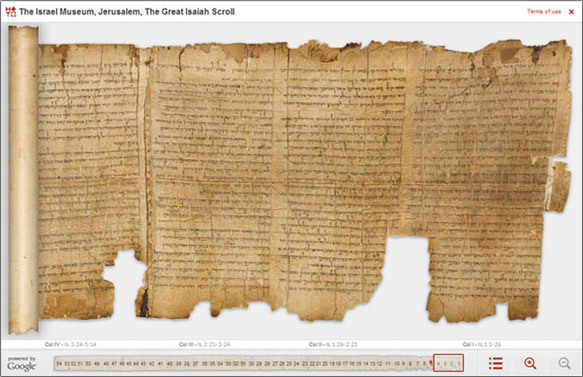 As part of a project to make cultural artifacts accessible to everyone, Google has teamed up with photographer Ardon Bar Hama (who has worked with Columbia to photograph some of our most important manuscripts as well) to digitize the Dead Sea Scrolls. You can see the site in its glory here. 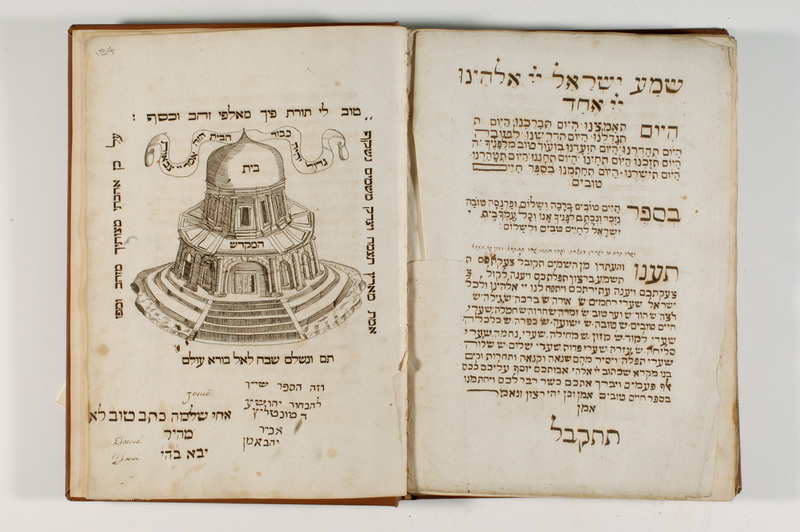 A second exciting digital project, also produced by Ardon Bar Hama, is the Maimonides project at the Bodleian Library, at Oxford University. Oxford is the proud owner of a portion of Maimonides’ own copy of his legal corpus, the Mishneh Torah. Following the wishes of a former owner, Eleazar, son of Perahya, that the manuscript "be kept available so that all scholars can correct their own version against it," the manuscript can now be viewed in its entirety online. This entry was posted in Uncategorized and tagged digital, manuscripts, medieval, Primary Sources on September 26, 2011 by Michelle. Are you interested the wonderful world of the Cairo Geniza, but are overwhelmed by the amount of fragments out there? Wouldn’t you love a tool that just let you search the full-text of over 4000 documents from the Geniza (which you can then view on The Friedberg Genizah Project – but more about that at a different time)? Say you know the name of one trader from Cairo, but want to see if there are other documents written by him…what do you do? The Princeton Geniza Project is the answer to all of these questions. 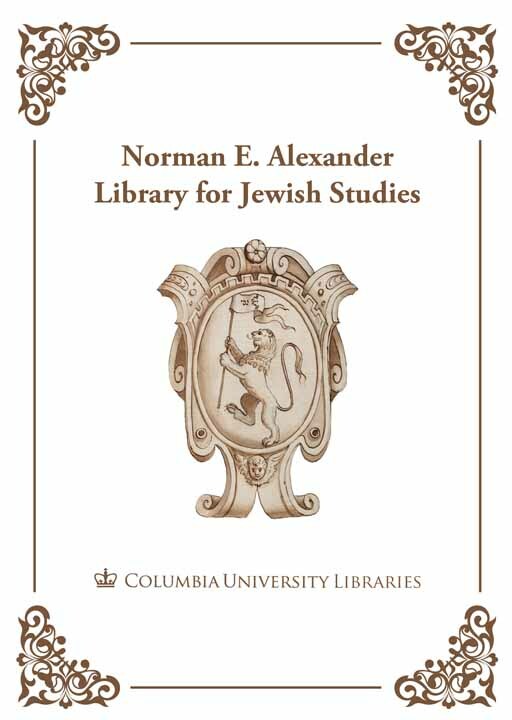 Under the directorship of Mark Cohen at Princeton, the Project team has worked to enter text of Geniza documents from edited documents – including the fragments described in Goitein’s Mediterranean Society (available online to Columbia affiliates here) – and is an exceptional resource in Geniza Studies. This entry was posted in Primary Sources, Uncategorized and tagged Full-text, geniza, medieval, Primary Sources on November 30, 2010 by Michelle.